You will love this inflatable Australian flag! 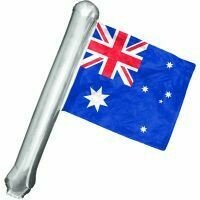 Air-fill this Australian flag for Australia Day or any Australia themed event! 62cm x 45cm.